This years do’s and don’ts are being addressed, find out what Quince traditions and trends need to be out. Want to avoid any setbacks you may end up regretting? Save time, money, and avoid future regrets by canceling some of these Quince customs before your big day. Some things are simply unnecessary and we tell you why. This is a Quinceanera not a wedding. This party revolves around a minor and not the adults therefore you are not obligated to provide alcohol for your guests. Create your personalized Quince Snapchat filter here! Leave the decorated converse for the past generation and opt for something fancier. Kate Spade and Keds recently released a bridal collection that could very well be worn by Quinceaneras themselves. Click to shop the ‘Keds for Kate Spade’ collection! Sure fondant is able to create amazing cake designs however, the taste is not exactly the best and people have finally noticing. Ditch fondant and go for buttercream instead! You want your guests to enjoy the party so keep the talking and congratulatory messages to a minimum. Plan on your padrino or dad to propose the toast and give a short speech to thank everybody. It is extremely annoying and disrespectful not to be able to enjoy a mass due to an overly hogging videographer who blocks everyone’s view, sometimes even the priest’s. These masterpieces require a special dose of talent, creativity and patience however they could turn out to look creepy, plus, how exactly do you serve this to your guests? Click to view original image! Most masses provide you with one or even have a kneeling step. Purchasing the set along with the scary traditional doll is an unnecessary expense. Click here to purchase from Etsy.com! Big hair, dramatic makeup and gigantic crowns that end up covering half your face steal the attention you and your dress deserve. Choose a dainty tiara or classy hair piece. 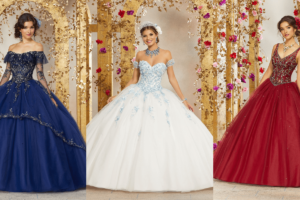 The ultimate Madrina for all quinceañeras!